Porsche Folio "Options & Codes"
There are many codes associated with your Porsche. There are paint codes, option codes, part numbers, Vehicle Identity Numbers (VIN's), engine numbers, country codes and more. This section of Channel P101tv is all about decoding the meaning of the various codes and option numbers. 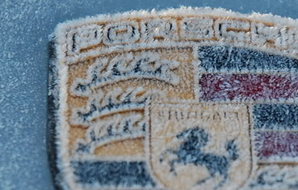 Understanding these codes and options can be an important part in establishing the correct credentials for your Porsche. It will also be particularly useful when buying a used Porsche by piecing tegether it's true identity when it left the factory. 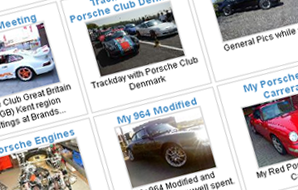 Using the Porsche Options and Codes section, like the rest of Channel P101tv, is completely free. Just click on an area your interested in from from the menu to the left. Remember, a Porsche's true original identity can be pieced together by looking at all the various codes and options together. For example, checking the VIN number, checking the engine nuber is correct for the year and model of the Porsche. Then there's the options that the original customer selected as well as paint and interior codes. As always, we aim to provide an accurate, complete and up to date database of the various Porsche options and codes. If there's something missing that you feel needs to be included or if something doesn't seem quite right, then please let us know. Just click on "Contact us" at the bottom of the page. 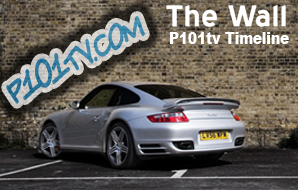 We hope you enjoy the Porsche Options and Codes Chapter of Channel P101tv!